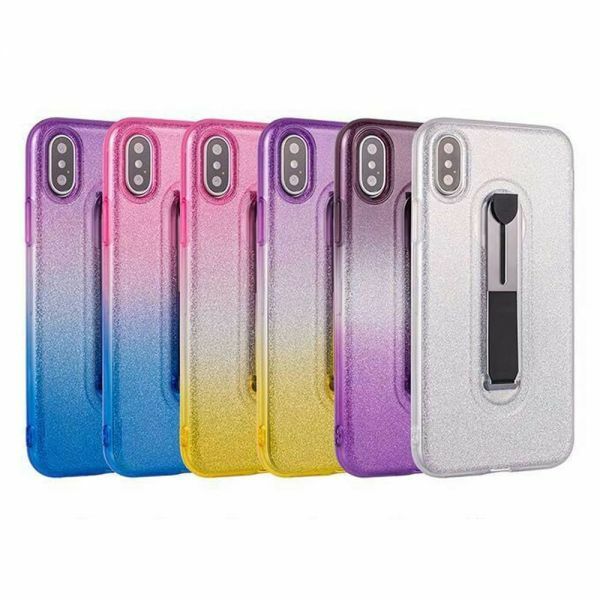 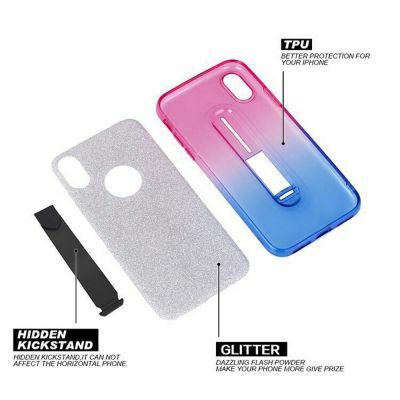 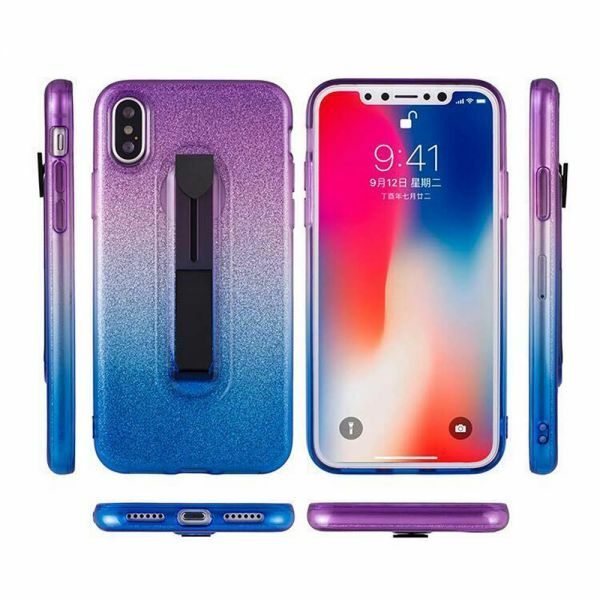 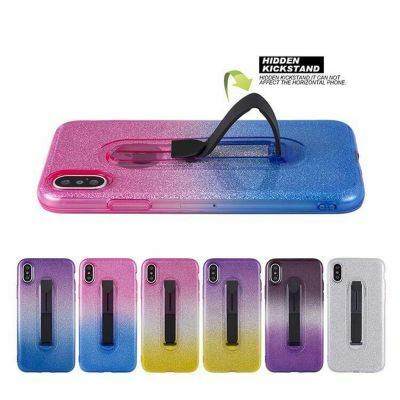 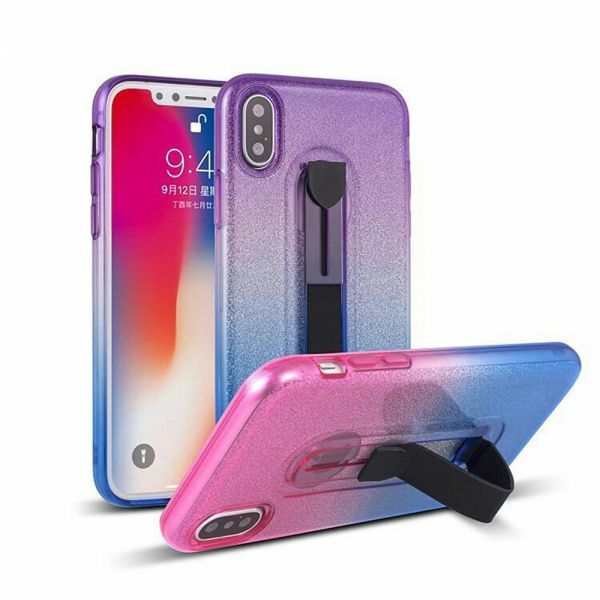 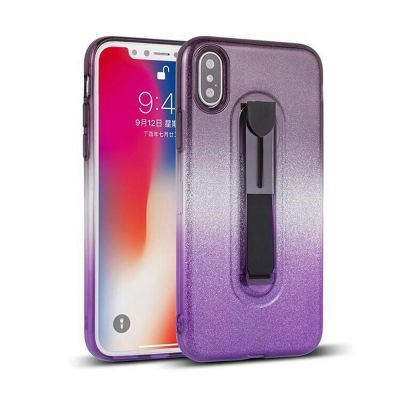 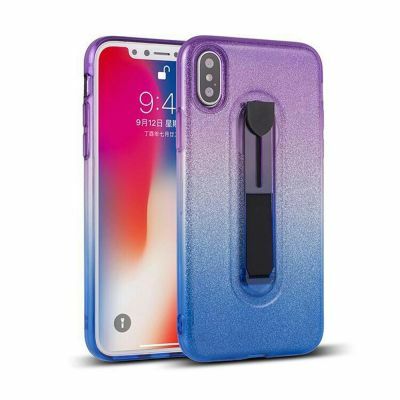 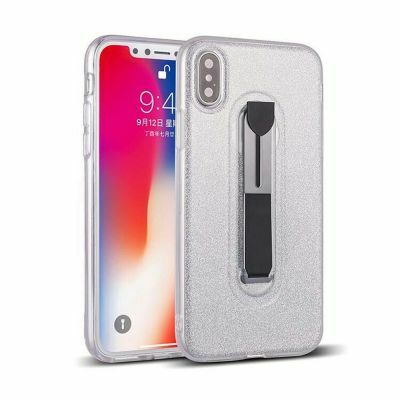 Soft cover case with glitter integrated over the entire surface of the cover and a built-in tongue foldable kickstand that holds your phone up in landscape orientation, and is ideal for media viewing. 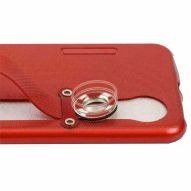 The case also features precise cutouts for easy access to all buttons, controls & ports. 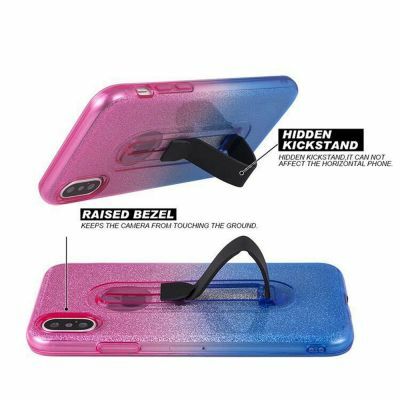 The lightweight construction provides shock absorption plus impact and scratch protection.